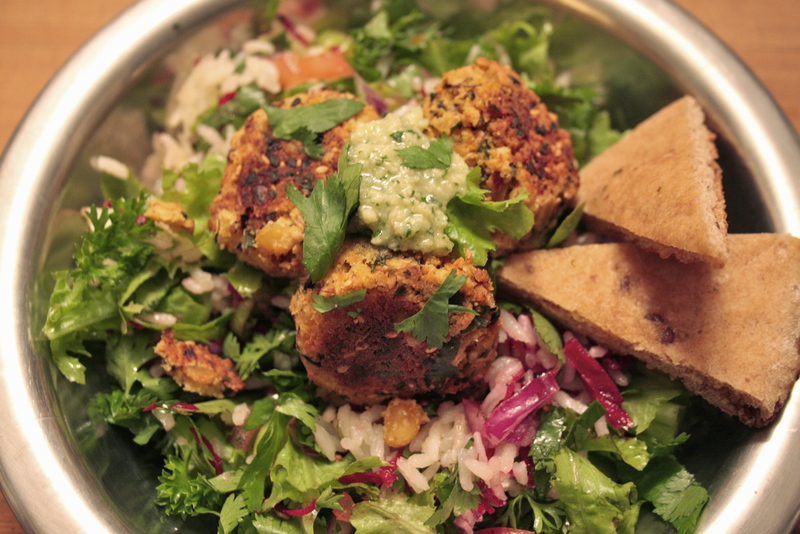 Vegetarian Recipes | eating with S.O.L.E. Mac and cheese is my ultimate comfort food, and it’s the first, and one of the only things my mom ever taught me how to make. Since going off wheat I have of course made this dish many times with various macaroni substitutes; quinoa noodles, corn noodles, rice noodles. But honestly, I think I have discovered the best GF noodle sub ever…. 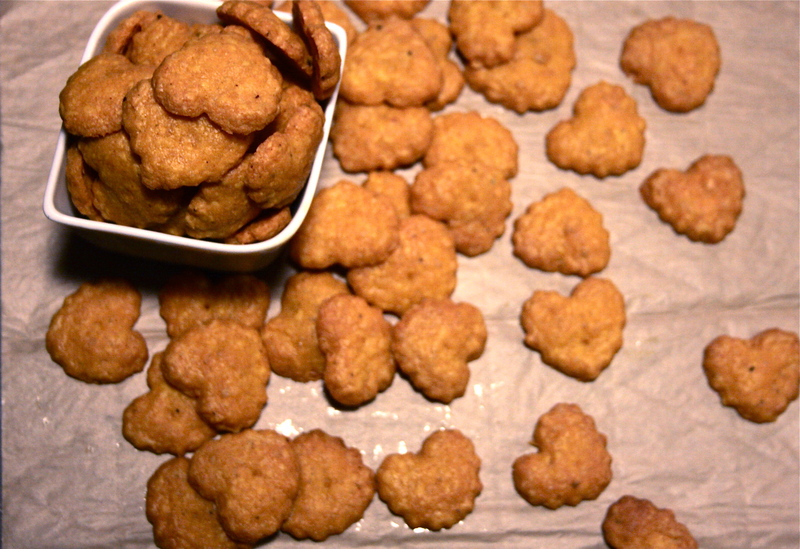 roasted cauliflower florets! Mmm. So much better than pasta. Dense, nutty almost with great body and texture, I am not sure I will go back to pasta after last nights diner! Sometimes you just need a kick of spicy rich noodle soup, when those days happen and you still want dinner on the table within the hour, then this recipe is your soul warming solution. 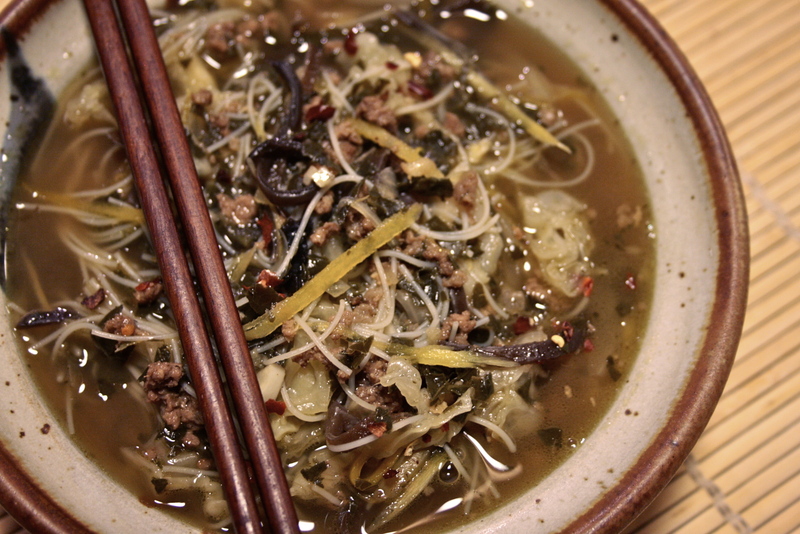 Tender beef (or not) in a steamy broth of ginger, garlic, Sichuan peppers and chili, laced with earthy garden kale, cabbage and carrot ribbons with just enough rice noodles. Yum. ever since I made those melt your face off to die for dan dan noodles I have been a wee bit scared of the sichuan pepper, but I freed myself of that fear and it was liberating! Also this would so easily be a killer vegetarian soup, omit the beef (duh), use mushroom broth instead of beef broth, pump up the mushroom volume and likely you’ll already have vegetarian fish sauce in the pantry (which is all I use anymore). Easy. 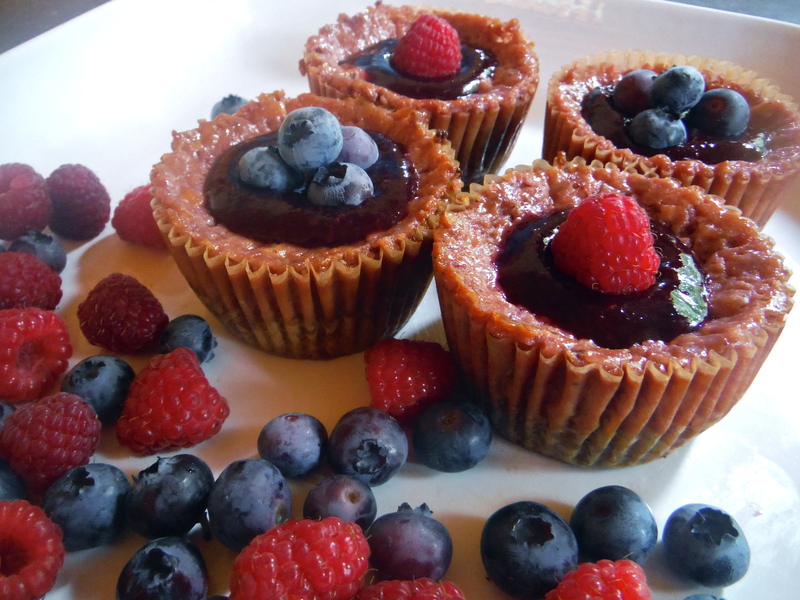 These represent my favorite flavors in one little healthful mouthful! 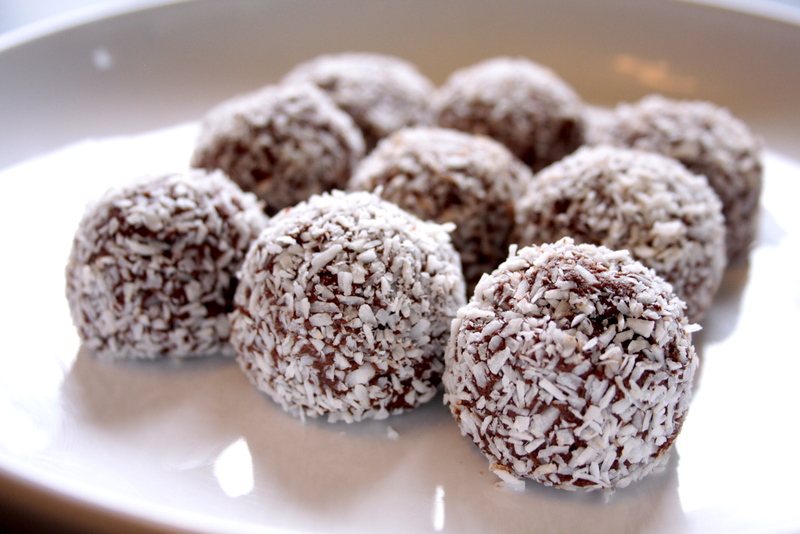 There is this sweet cafe in a nearly town that sells lots of yummy raw treats and I often find myself with a pocketful of their maca maple balls when my sweet tooth sings to me. This is my bliss ball perfection easy take on those treats. 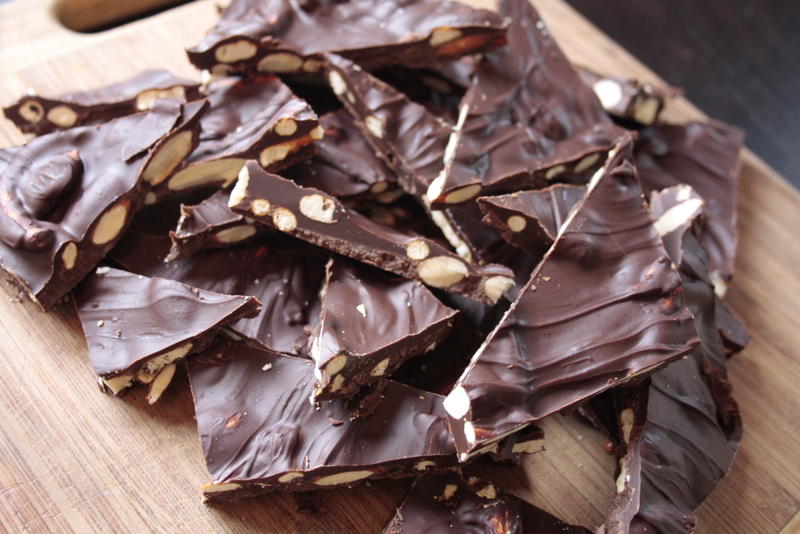 Quick and lovely super-food-rich-guilt-free treats. Process until your mixture begins to ball. 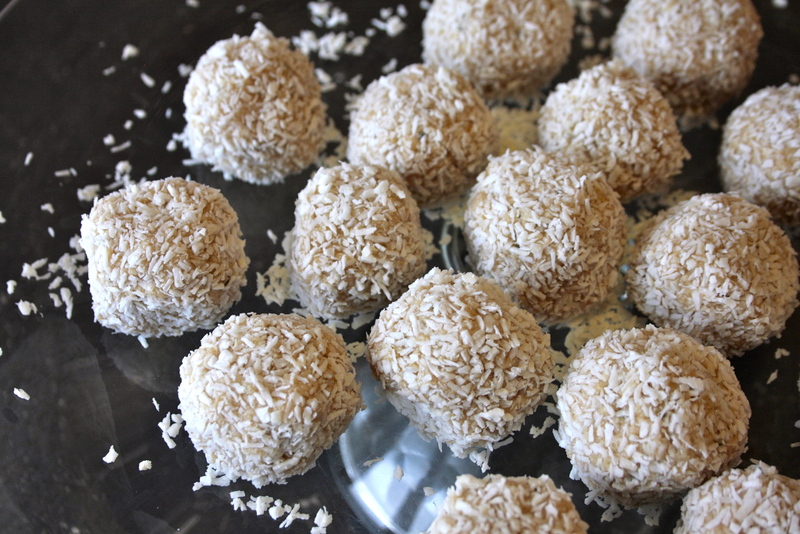 Portion bliss mix into small bite size balls by rolling them in your palms, then toss in a small bowl of coconut to fully coat the balls. Allow to rest in a cool place for 30 minutes, they dig in! Eager to bake something gooey and gluten free, my daughter and I set out to make some nice jar squares. 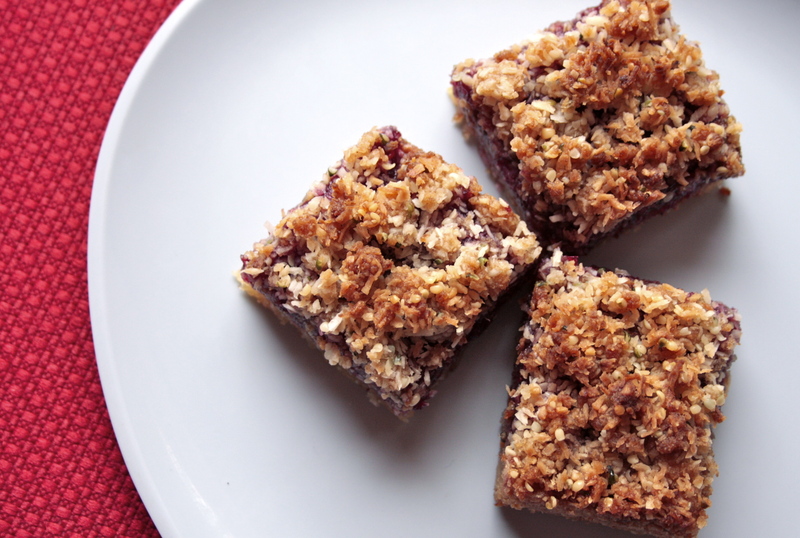 These are similar to those really yummy mojito mint coconut bars I made back when the mint was flushing in the bog below. 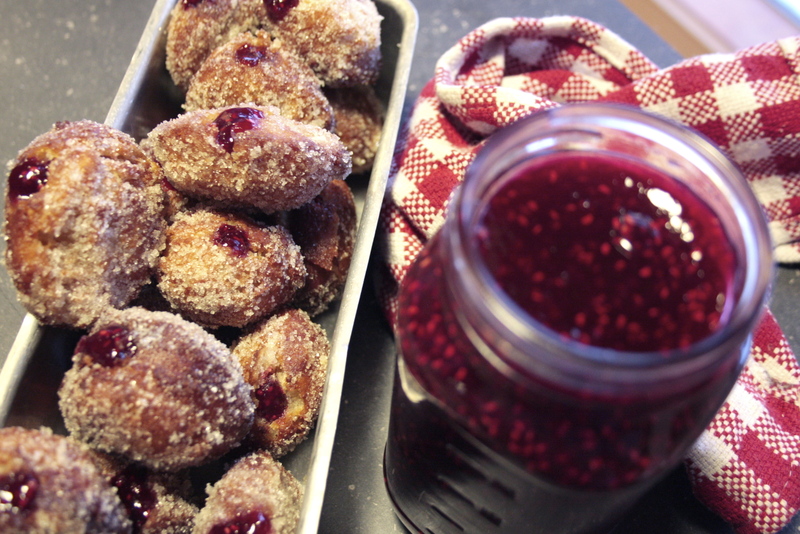 These days I am still flush with a big batch of refrigerator raspberry jam I made weeks back to fill those gluten free doughnuts with. I realized half way through this recipe I didn’t have any more coconut flour, and I decided to make my own, just like I make bean flour, or oat flour or nut flour… and it seemed to work OK. After a long ride in the processor my fancy shred organic coconut was very flour like and preformed well in the recipe. Just like the processed snack cheez-it’s or cheese-nibs these golden cheesy puffs are perfect for snacking… only these are gluten free and made with real food… well aside from the orange cheese I purchased just for this occasion! I had an epic holiday kitchen marathon today which started with another round of Hot Damn Bacon Jam, then I made a batch of Amazing Apple Pie Jam followed by a double batch of these darling cheese-luv crackers. All day I was imagining how amazing a dollop of apple pie jam would be atop of fresh crisp cheese cracker, and I was more than right! 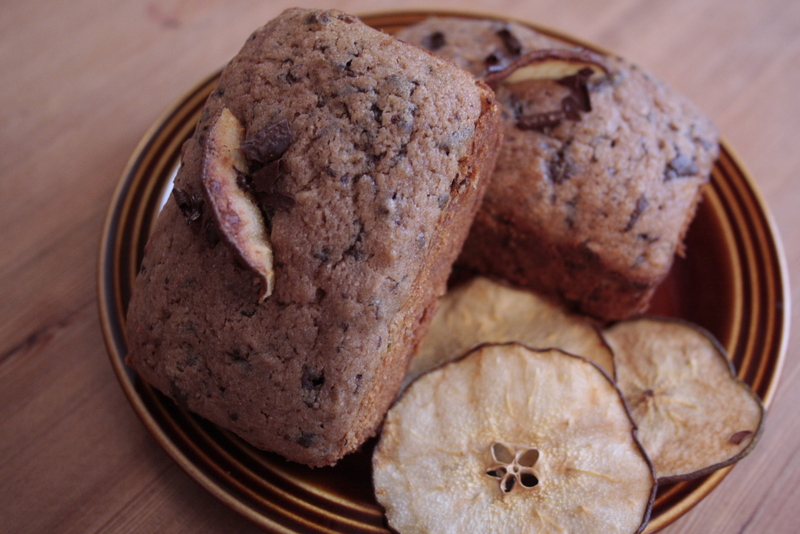 This combo is like an instant cheese slice on an apple pie party in your mouth! Killer Killer Combo! I am pretty sure you all are familiar with the dish “wife saver” we lovingly call it wife beater around here because it is pretty “white-bread-trashy”, why do folks love it so? 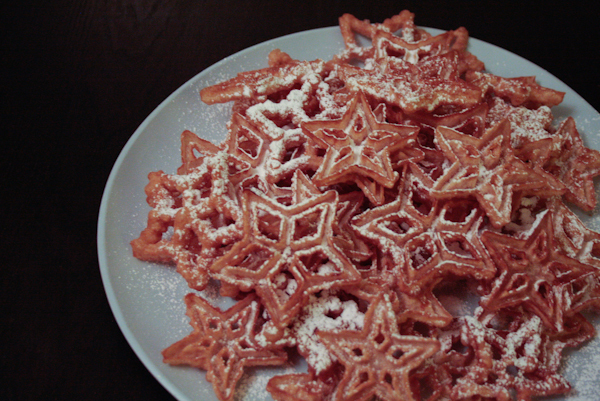 My mom used to make this on Christmas morning once in a while, with SPAM if you can believe it, and my sweeties grandma makes it pretty often for brunch; white bread (crusts off) layered with ham and orange cheese soaked in egg and topped with corn flakes and more processed cheese! I tried once to make a really fancy version of this for a brunch, I used baguette, smoked bacon, roasted garlic, fancy french cheeses and even a bechamel sauce with fresh herbs, I loved it but my guy was missing all the trash factor, seriously. He told me not to mess with his wife beater, and for the last 8 or so years I have complied, until the other day that is… My daughter and I made a big batch of chili and she whipped up some corn bread skillets using our families favorite recipe (with the substitution of corn flour for spelt flour). 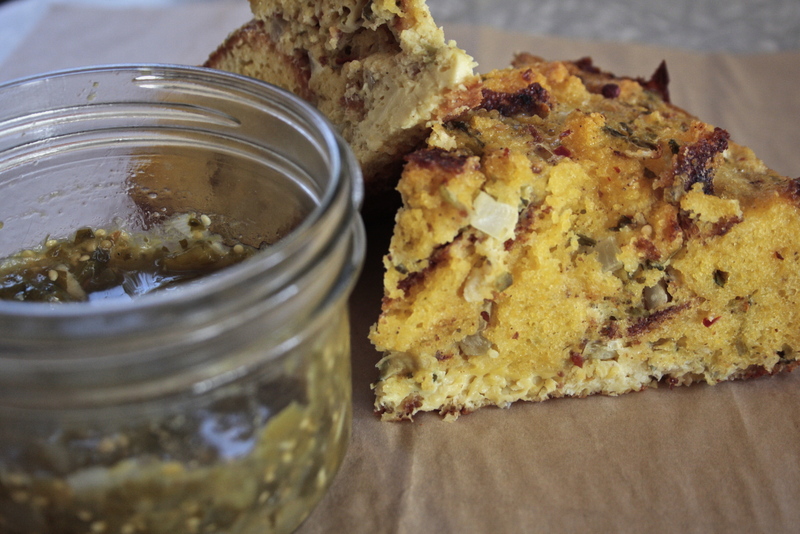 By day 3 we were over the corn bread and the chili, and I kinda forgot about half a skillet of corn bread for just long enough for it to start to dry out, and that is when it came to me; corn bread wife saver! 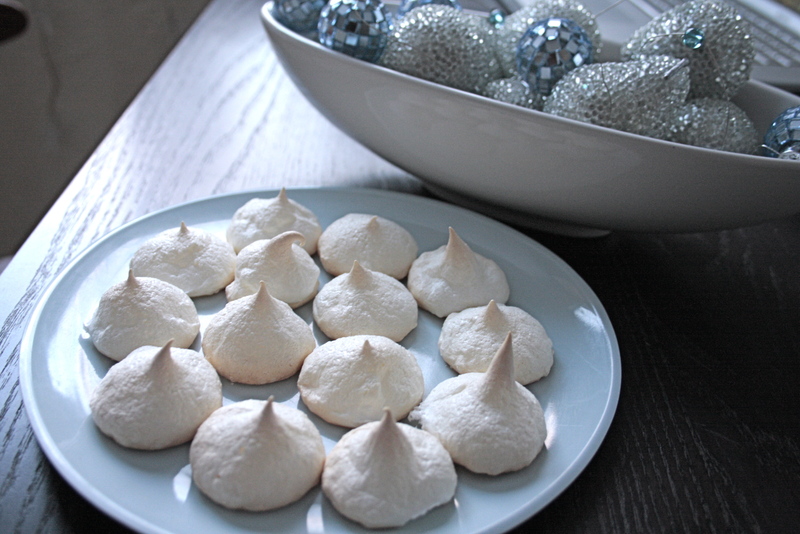 It was worth a go, and I am so happy I tried it and the whole family LOVED this version. 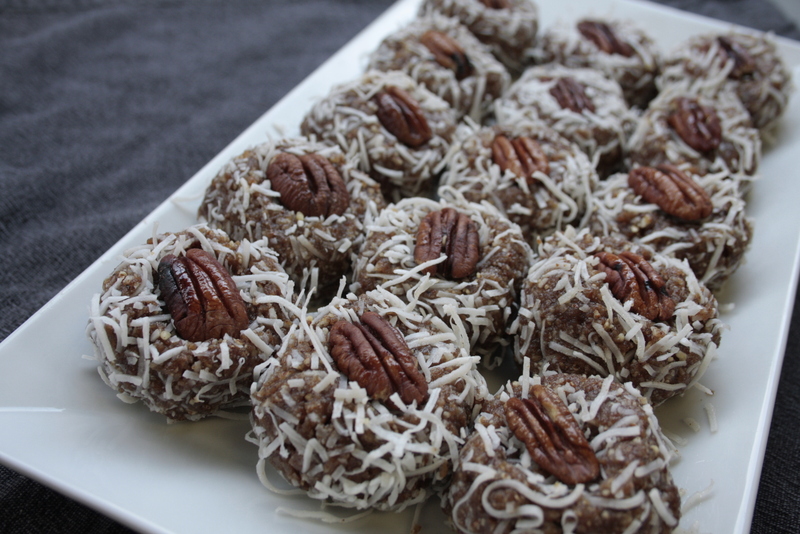 Easy no bake energy boosters, not too healthy not too sweet, just right for a simple treat. 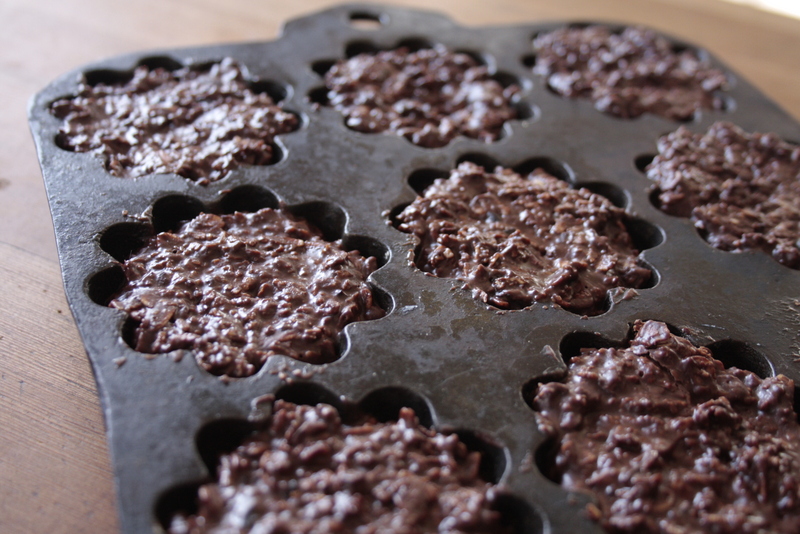 pour mixture into lined pan, portion with ice cream scoop, or press into chocolate or mini muffin molds, set in fridge and serve. I decided to pour half the mixture into a terrine pan lined with parchment and sprinkle with some beautiful coconut chips, the rest I poured into some really lovey little flower cast iron molds I had. So cute. Lets talk sauerkraut for a minute… I love the stuff, my family is hooked and I have managed to make a few really great batches of kraut over the years… truth be told though, I have had a number of total failures too! That is what is so exciting about this give away; The Urban Homesteading Store is offering 5 packages of Caldwell’s Starter Culture for Fermenting Vegetables. This starter is added during the sauerkraut making process and essentially contains a really strong culture that over produces rapidly and blocks out other bacterias that can cause your ferment to go off, essentially providing you with the best chance at making great tasting beneficial ferments for you and your family! 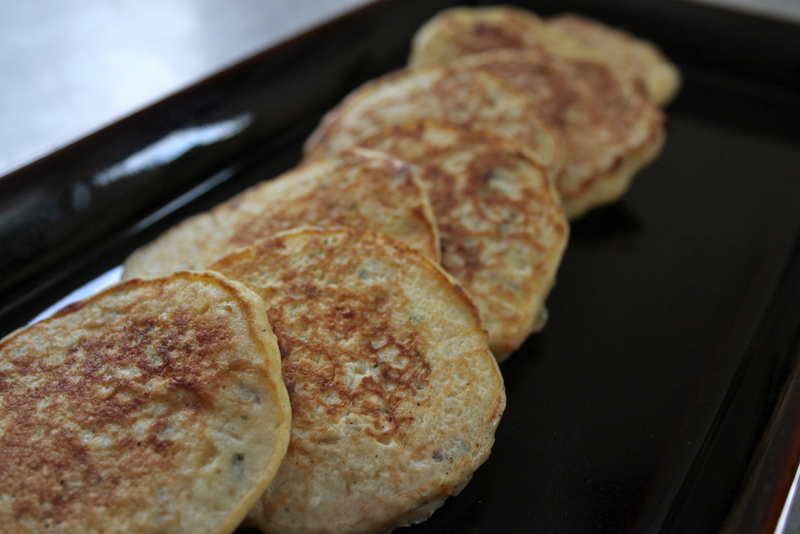 I know just how good fermented foods are, so I try to incorporate some in to as many meals as possible, and recently I came up with a pretty awesome savory snack to make with sauerkraut: savory gluten free sauerkraut pancakes! 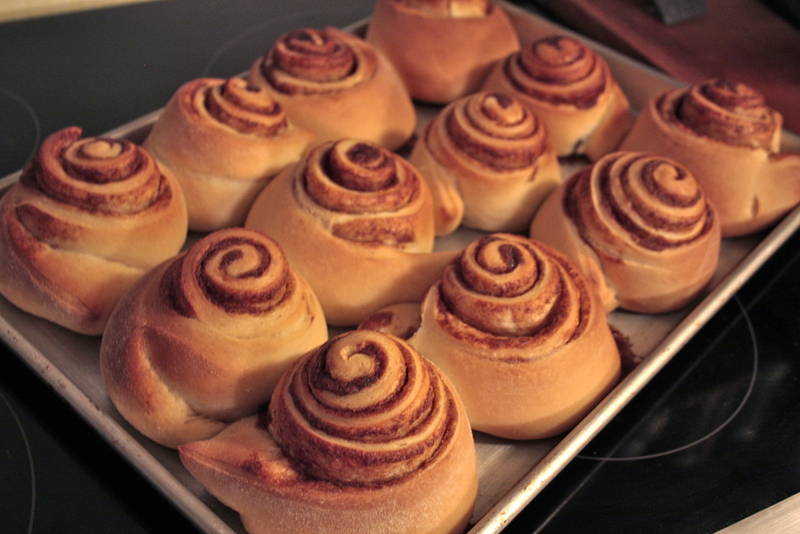 They are fabulous, and dunk-able and lovely when slathered in good homemade sauces. 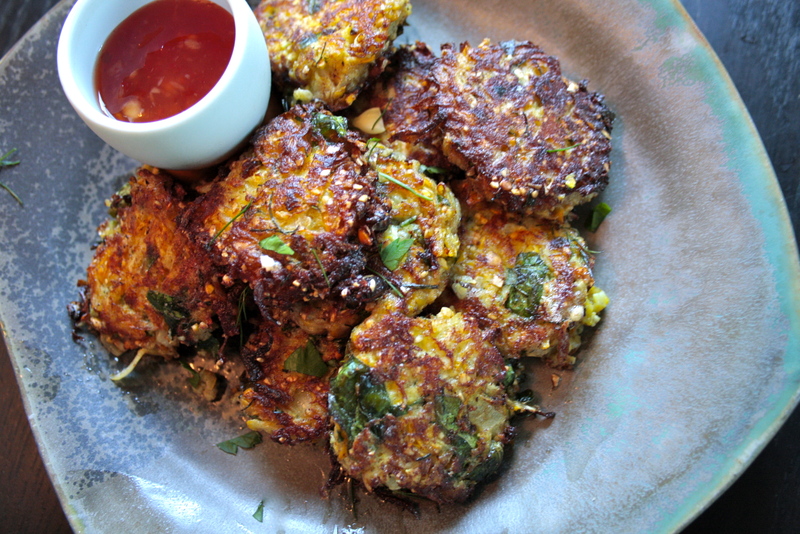 I used chickpea and rice flour to makes these silky fluffy kraut cakes along with farm fresh milk and coop fresh eggs. 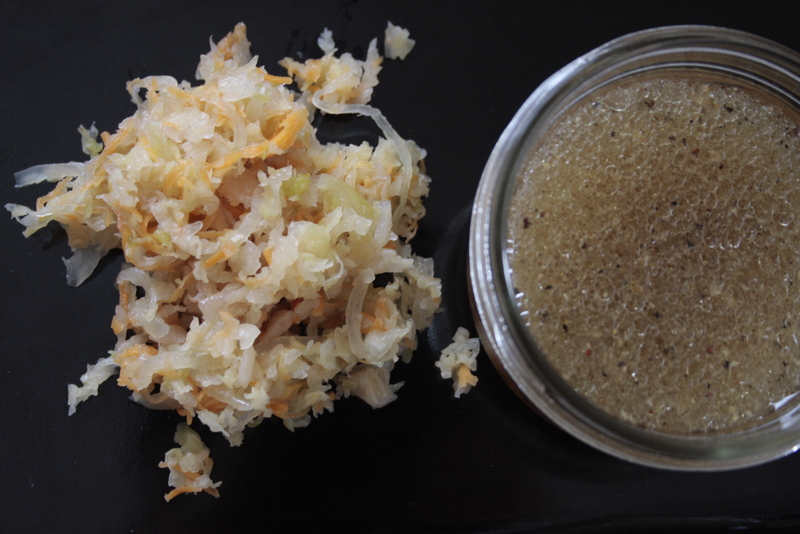 I used some of my “blue ribbon” cabbage sauerkraut which I fermented with shredded carrots… so lovely. Korea meets Mexico, and falls happily ever after in love on this organic yellow corn tortilla wrapped up in homemade chipotle salsa, fresh feta and red cabbage. Kimchi and deep fried avocado who knew? Well the other day me and by back-road girlfriend ditched our muckers, baled on our canning and went to town for lunch, we hit this new Mexican place and on the menu they had a panko and kimchi taco, yum right. Well I have been thinking of how it could have been improved and gave it a shot tonight. 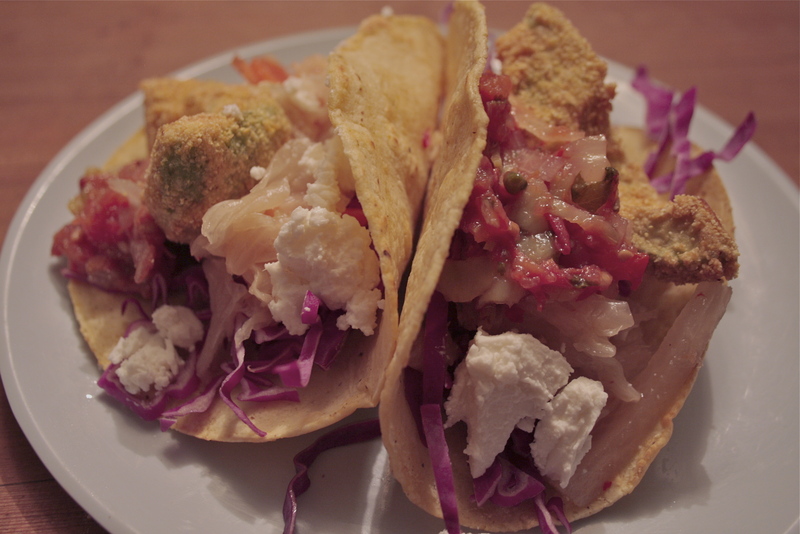 I decided to forgo the white bread panko crust and do a gluten free chickpea and corn meal crust on the avocodo quarters, and I used some lovely locally made kimchi, and garnished the tacos with a little more … get up and go. Perfect if I do say so myself. These avocado wedges golden fried would be pretty killer just served up for a party with a stellar salsa to dunk in! 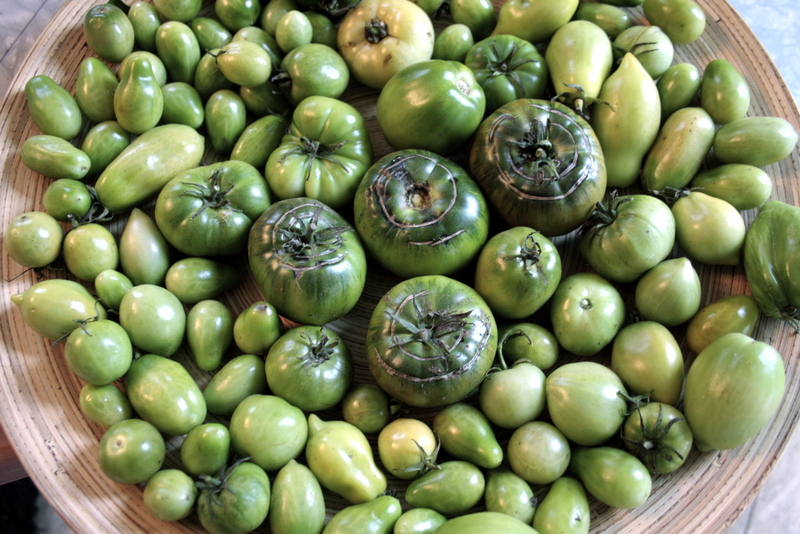 This time of year is sleepy and chilly in the garden and there are only a few bits and bobs still needing attention… namely the green tomatoes (and some more sauerkraut). 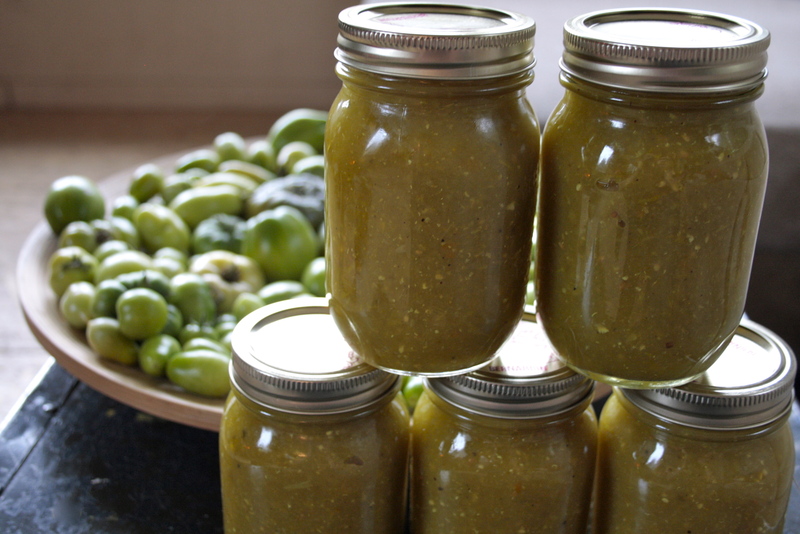 I already put up my favorite green tomato “verde salsa” en mass, and the whole monitoring of endless green tomatoes is a little to exhausting for me, so I opted to can a big batch of ketchup, green tomato ketchup that is. I still have a few pounds of green toms to consider but the stress of the sorting and storing is all nicely put up in pint jars, whew. 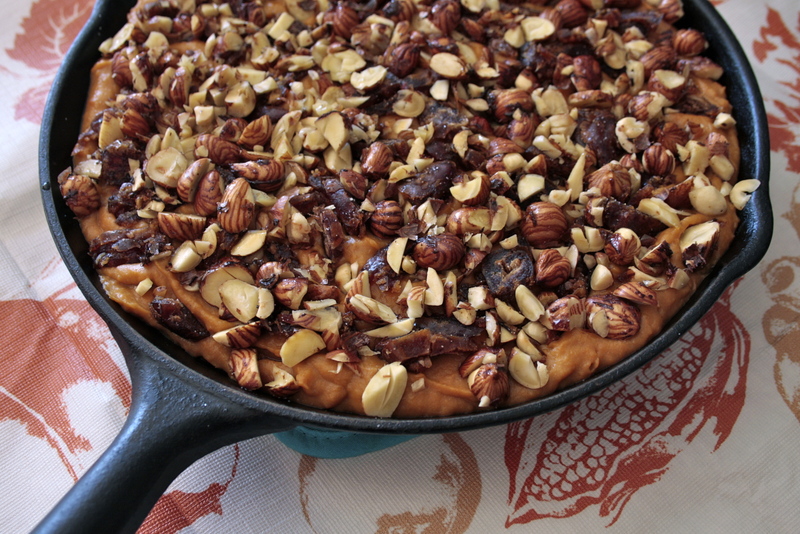 Apparently this recipe goes really well with tourtiere and other such meaty dishes, and is pretty popular in Quebec. This batch got me thinking about the holidays with all this tourtiere talk… I think i might finally try my had at a French Canadian classic meat pie this year. I have been making my own ketchup for a few years now, and this green tomato spin was calling for me to give it ago. 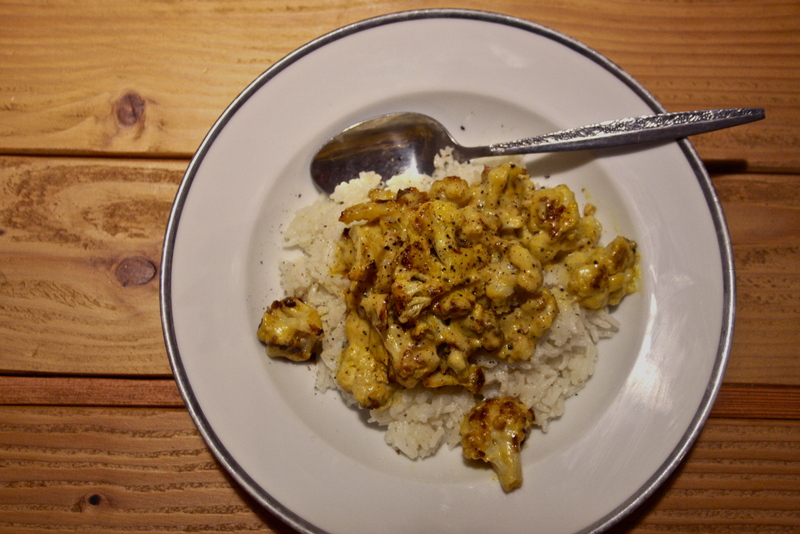 I read a half dozen well reviewed recipes and settled on my own seasoning blend, the results were bright and hot and really well spiced… I can see that meat pairings would be nice here. I also had a good yield of still-not-red cayenne peppers which I pulled from the green house in my final fall clean and decided to flush this recipe with some unknown heat elements… turns out, though not ripe and red the peppers were still pretty kicking, which I love. OMG my fear of all things white and creamy have had me avoiding tahini most of my life, admittedly I still do when eating out as so often it is mixed with yogurt which I still can’t manage to eat… But the other night I made a killer batch of homemade falafels with sesame seeds and all sorts of crunchy deliciousness, and imagined the dinner needing a bit of a dressing to appease my sweet heart who drowns his falafel in all sorts of white sauce. 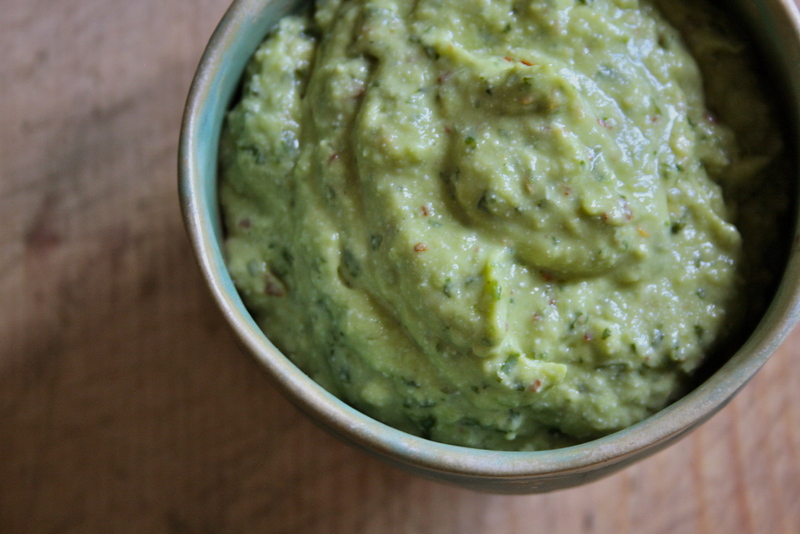 This killer green tahini dressing was born and I just have to share it with you all, because it is so very good! 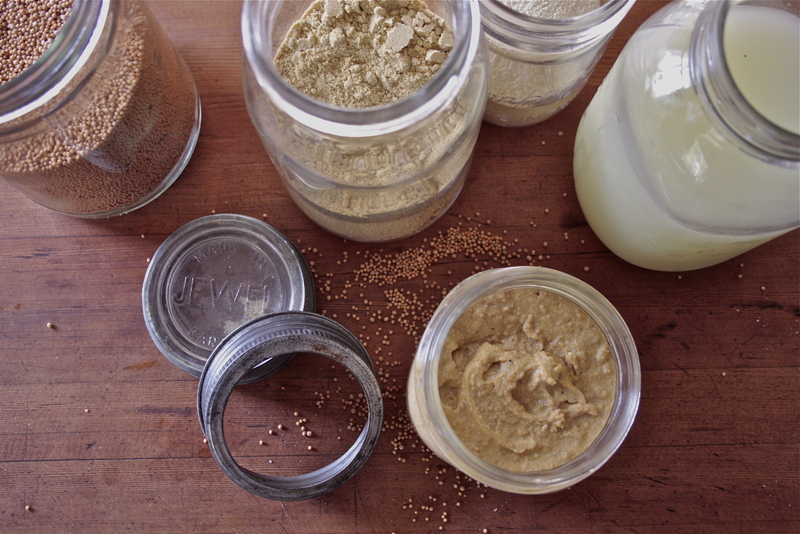 Oh this might be even better than the lactose fermented pickles my family LOVES. 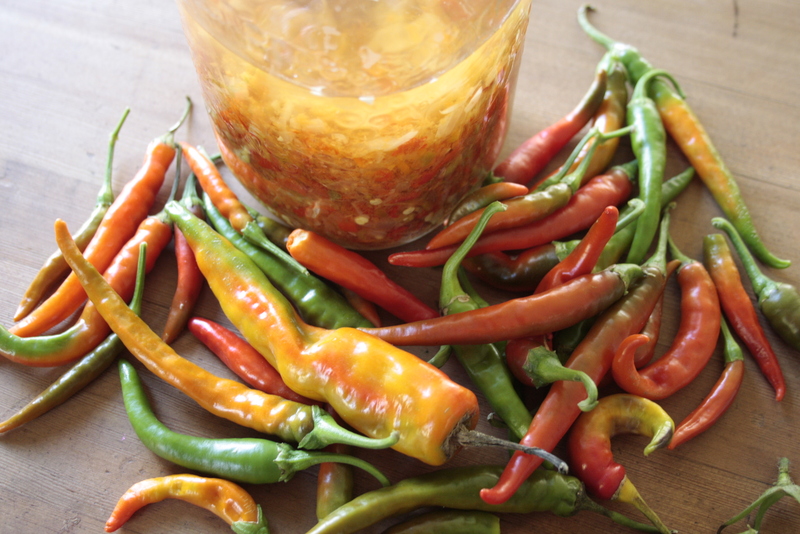 I have been longing & trying to make this hot sauce for two years. Making this both a long time coming, and so worth the wait. This stuff is fabulous. I am getting sucked into the world of fermenting, it’s slippery slope I have to warn you! 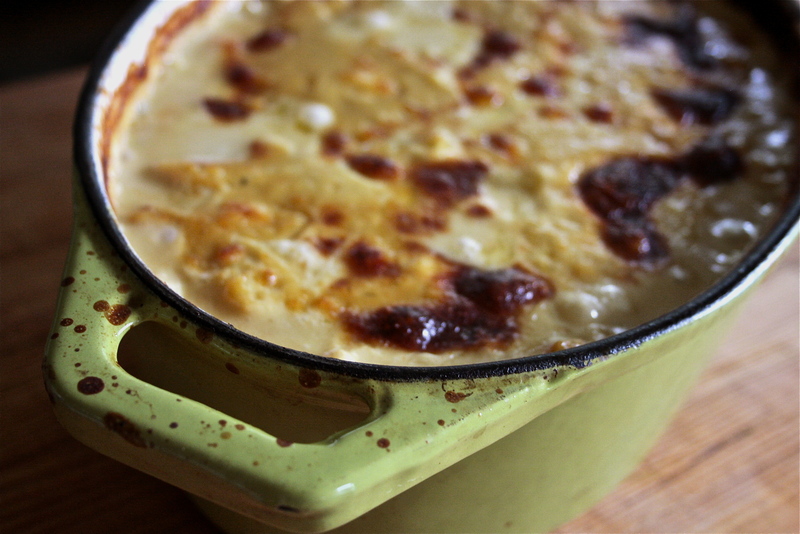 I was craving scalloped potatoes the other day, and as I still haven’t dug my potatoes out yet I decided to make a hybrid harvest spin on the comfort food I was aching for. 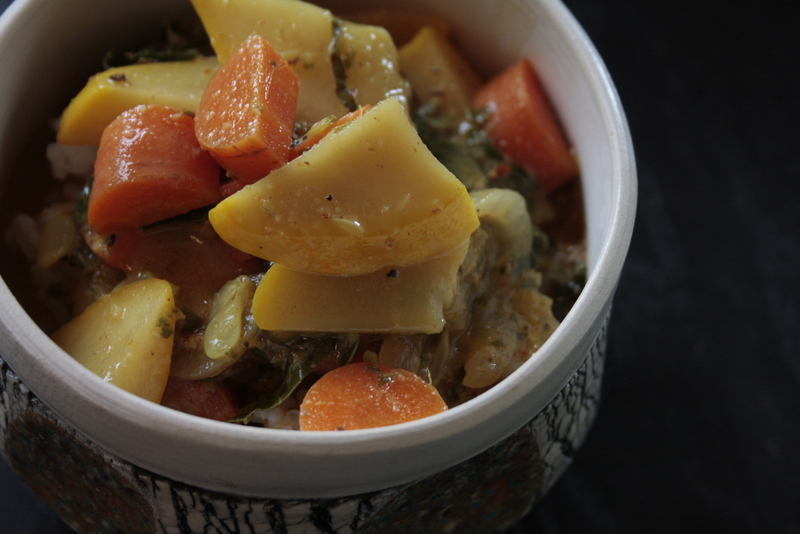 I used rich nutty chickpea flour to create a thick garlic sauce to ooze into the layers of squash, onions, rainbow chard and carrots. 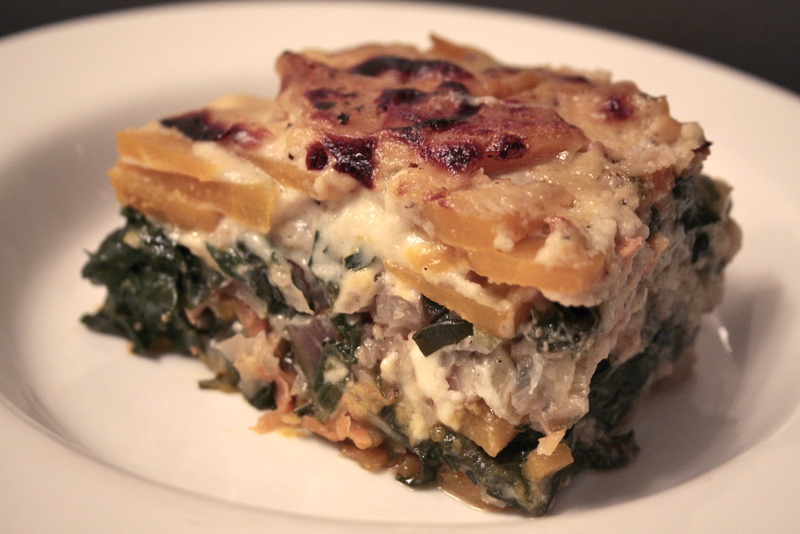 I picked up a few packs of really amazing goat feta the other day and blended that with blanched chard to create a couple lasagna inspired layers in this dish. 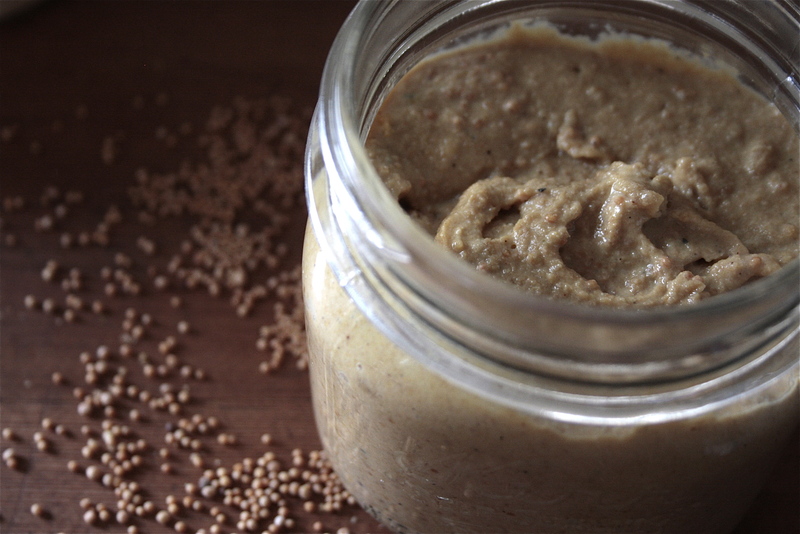 As I was making it I was reminded of that killer vegan cashew “cheese sauce” I made a while back, and how easily that could be used to make this dish both vegan and gluten free! 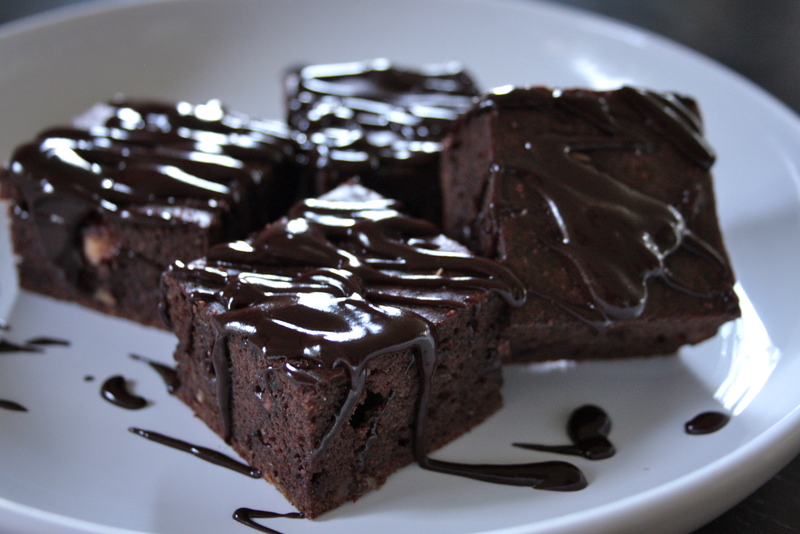 This is a remake of an old gluten free brownie I revamped to use what I had on hand. With this formula you get a nice dense square with some spring and loads of nutty chocolate notes. I say caramel, but really I used dates, when they are baked like this you end up with moist sticky ribbons through the batter that taste like caramel, it’s lovely. 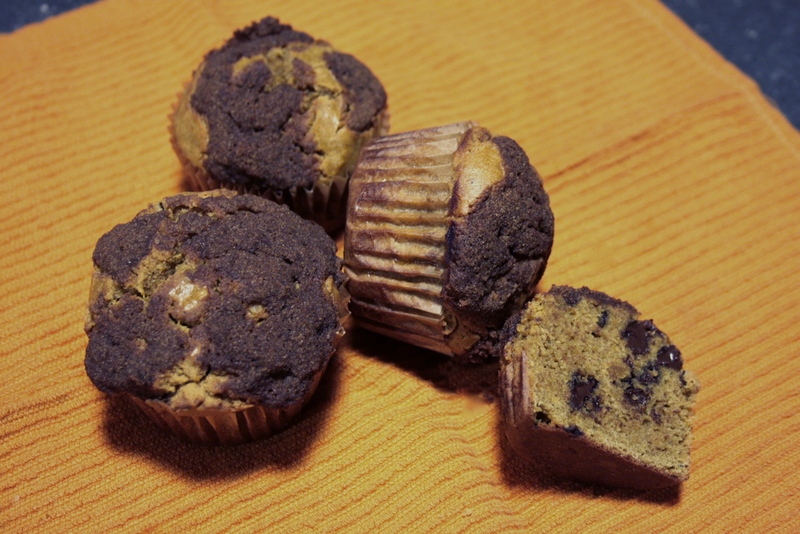 There is no butter or oil or sugar added to this batter, just almond butter and cocoa with a blend of black bean flour and brown rice flour, farm fresh eggs and just a hint of molasses and maple syrup, all rounded out by some strong coffee. It is like a no guild chocolate caramel coconut milk mochachino. … pretend like it’s the weekend” – Jack Johnson was on to something… and I am afraid I have been in the dark about this Banana Pancake phenomenon! I just discovered, through various means in short succession that if you combine 1 banana 2 eggs and 1 spoon of peanut butter you get the most dense, moist rich gluten free pancakes on the planet! HOW DID I NOT KNOW THIS ???? In the event you are like me and desperately looking for a carbie tasting breakfast snack to sop up some egg yoke, then your in luck! 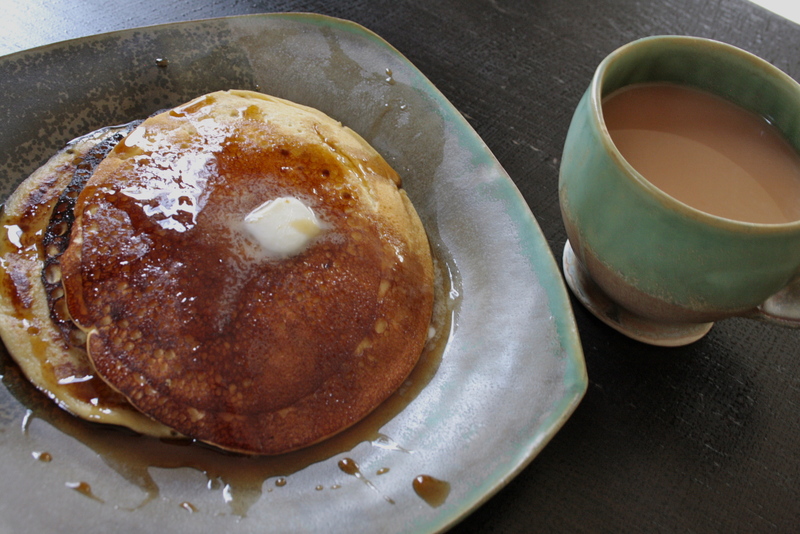 This recipe is way too easy, and once you ditch the gluten free pre-mixed pancake mix, for this you will be laughing! Some of my favorite moments involve a walk through the garden to decide what is for dinner! Tonight the beets and carrots called to me and I decided to keep it super simple, a celebration of September. 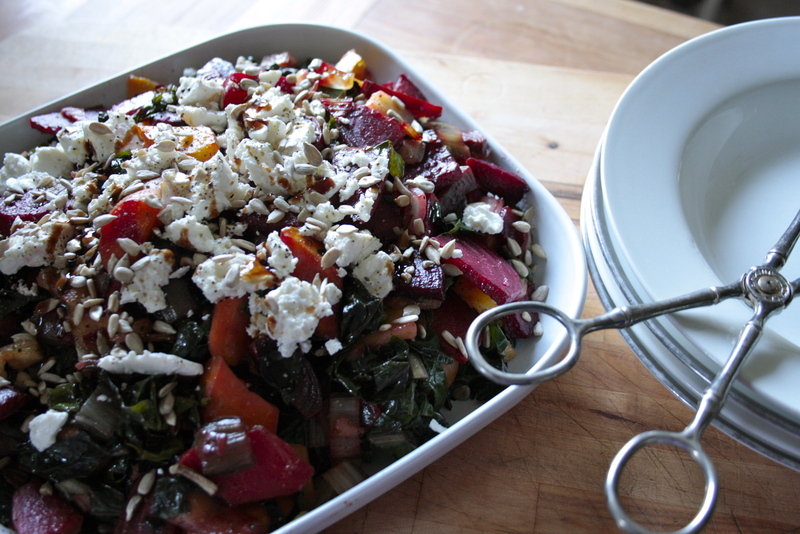 Slowly roasted caramelized beets, carrots and onions finished with wilted swiss chard and a balsamic glaze. Adorned with local goat feta crumbles and a sprinkle of sunflower seeds. 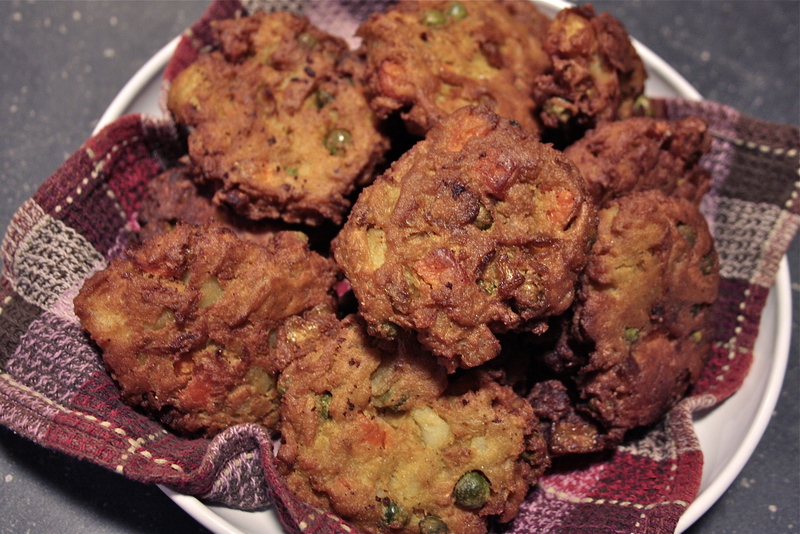 Serve this with a green salad, crispy warm bread to soak up the extra reduction on your plate, or as a hearty side dish, however you enjoy it one thing is certain, you will enjoy it. yum this dip is so nice and easy it’s perfect for dunking or as a dollop on a noddle / rice salad bowl! 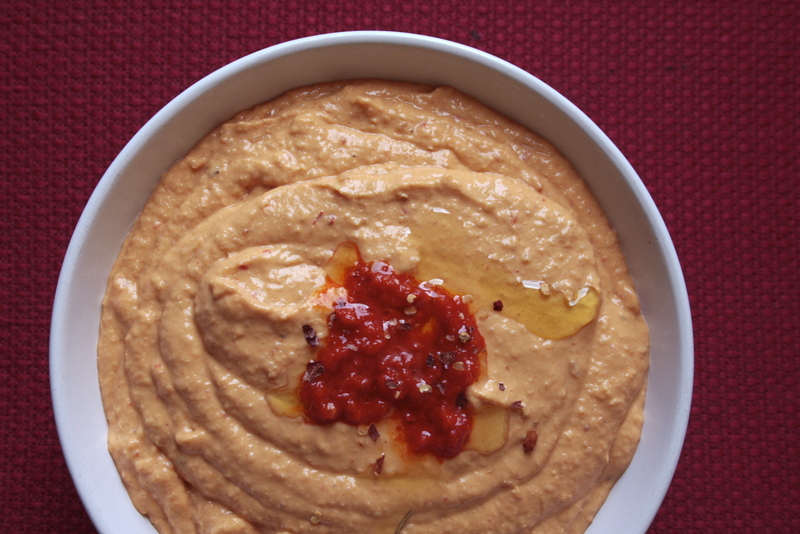 Garnish with a dollop of red pepper spread and a drizzle of nice olive oil. Enjoy. Nothing tastes like camp food! I am not talking about hot dogs and smores (ack) I am talking about thoughtful meals made in nature with limited everything. 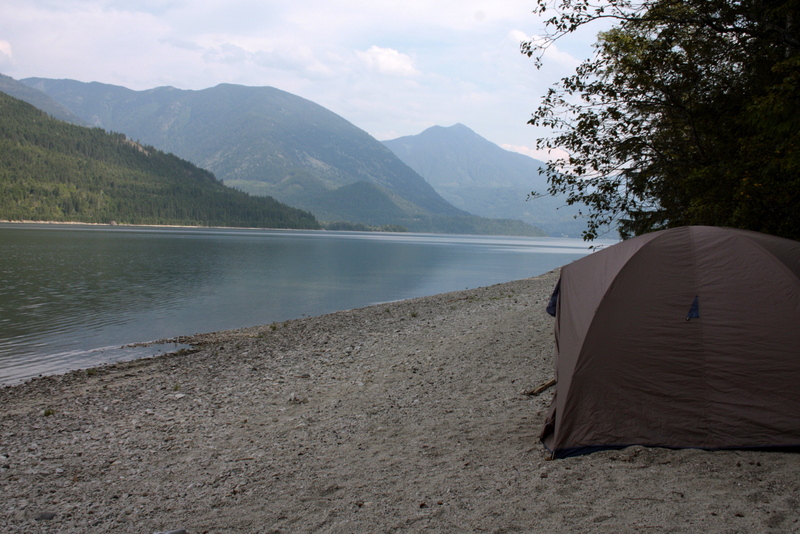 You really do have to plan well and season at home if you want the best of your camp culinary experiences. 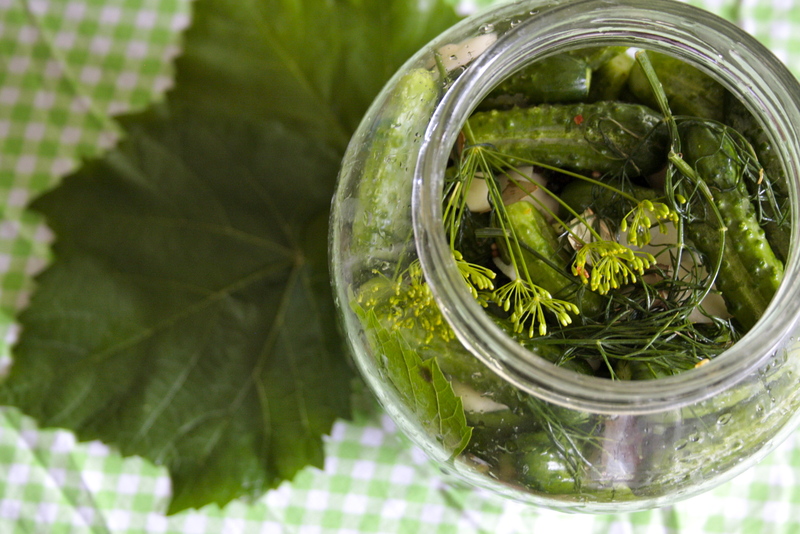 I just came home after a few days canoeing the lake to yet another bushel of pickling cucs needing my attention! With some conventional dills under my belt as well as a batch of fridge pickles already this season, I opted to try my hand at a big ‘ol batch of fermented pickles… which are about the easiest thing ever! I added a few grape leaves from the vines to help keep them crunchy, and after finding the perfect big jar / weighted lid situation I was off to the races. 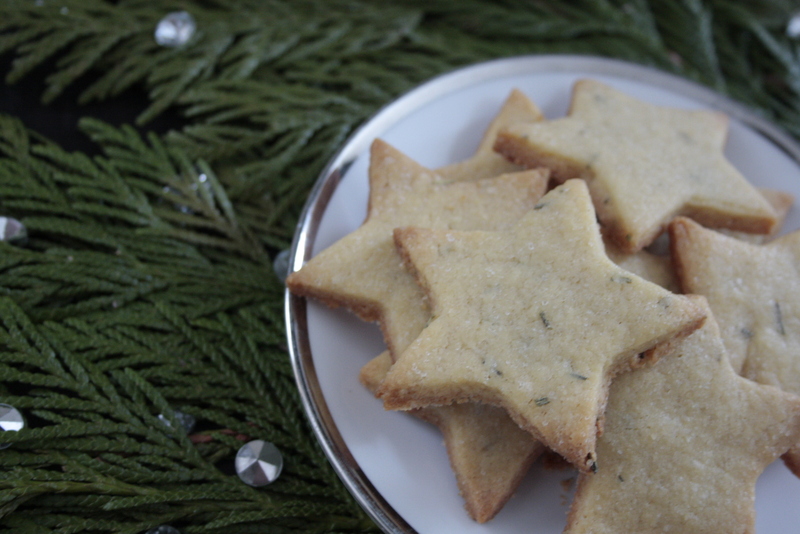 I have been really enjoying baking with chickpea flour over the past few weeks. 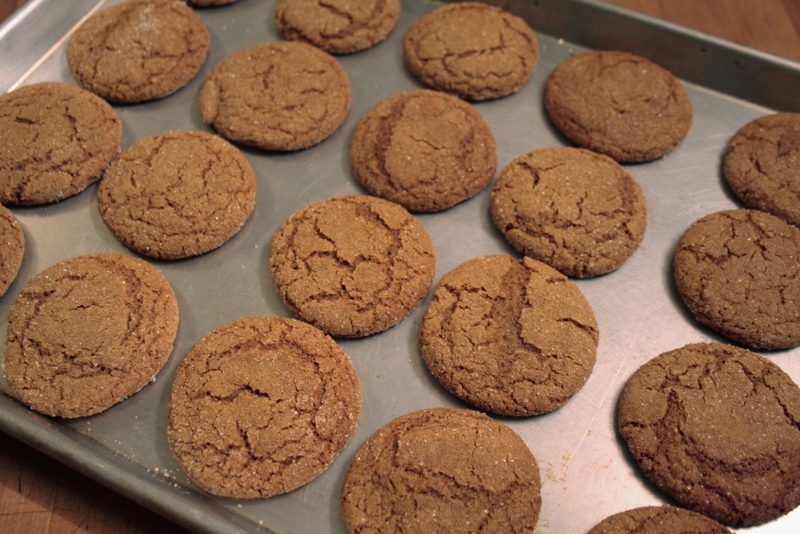 It’s dense and almost nutty tasting and it blends nicely with all kinds of other flours. 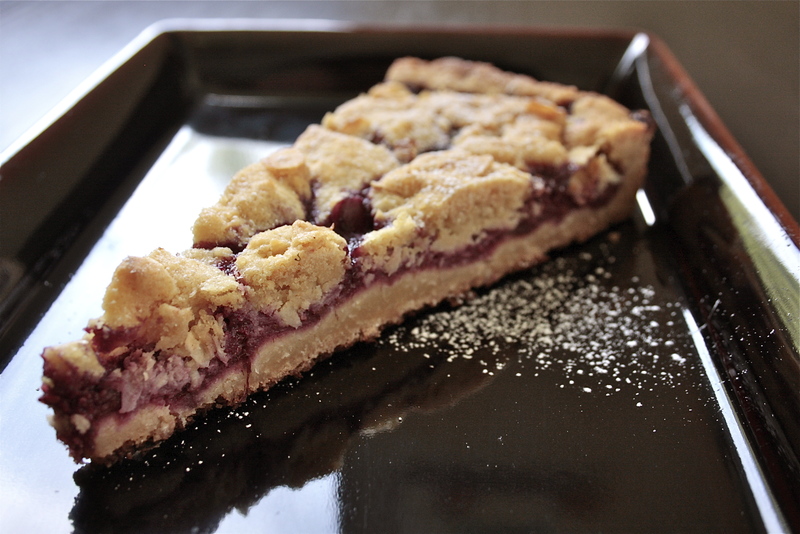 Yesterday we picked the last of the very deep dark ripe raspberries of the season and had to put them to work immediately so I set out to bake a gluten free dairy free tart made in the lazy crumble top fashion of old school date bars (love this 2 step technique) The dough is a blend of chickpea flour / brown rice flour / coconut / coconut oil / and cane sugar used on the bottom and again on the top with a thick layer of smooshed freshly picked berries and some coconut chips. 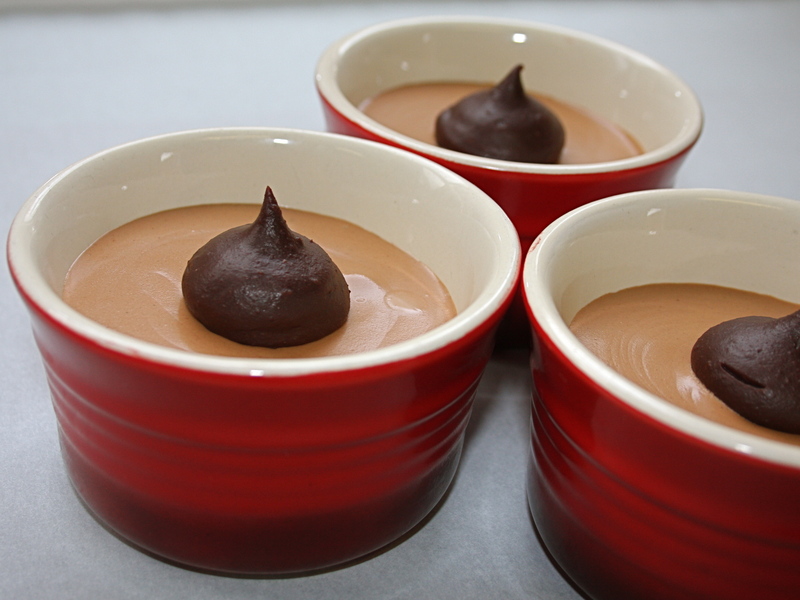 This frozen dessert is so simple there is no way it should taste this fresh and lovely. Your just 3 ingredients away from something that screams summer and takes no time at all to prepare. 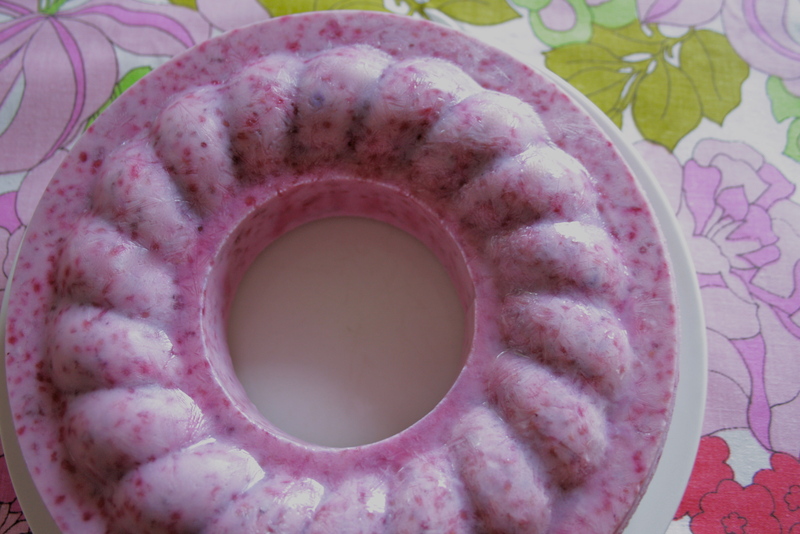 We just just picked 2 huge baskets of raspberries and I planned to make a gluten free berry cake in this sweet little vintage cake pan, but the very thought of turning the oven on yesterday had me feeling faint… instead I threw a few things in the stand mixer, made a pink puddle and froze it in the spring form pan, viola… raspberry frozen dessert! Such a nice take on same old same old guacamole, this feta dip is fresh and bright and totally dunk-able! Best of all the feta came from my favorite milk maid curiosity of her lovely dairy goat aptly named “feta”. This is by no means mexican in flavor, and you could so easily make this the spread on a BLT or any number of burgers. It is flavored with basil and lemon and garlic, it’s smooth and sharp and perfect for any manor of summer grilling menus. Best of all it’s so simple. In the event you are drowning in summer squash, this recipe is a great way to hide and and serve it to your family even after they have played the NO MORE ZUCCHINI CARD! Every one loves golden brown pockets of cheese + herb goodness, so much so no one will be the wiser if it is stuffed with squash! 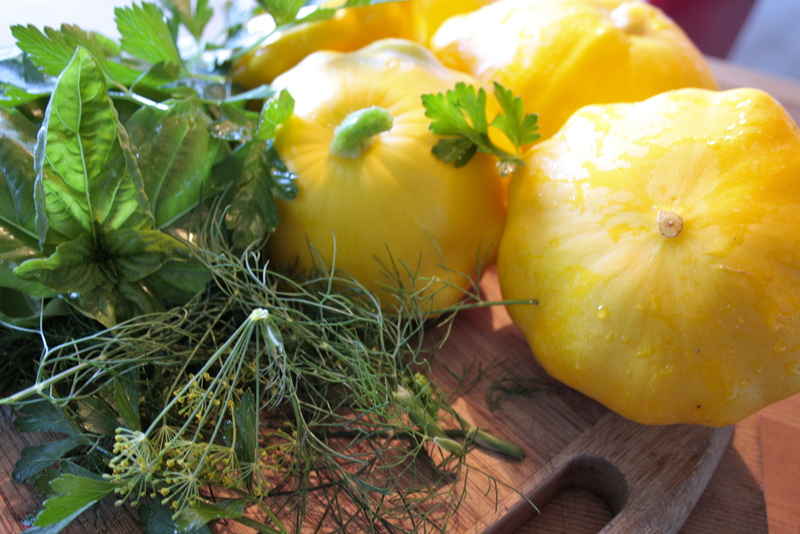 I harvested a couple more patty pan squash from the garden today along with an armful of fresh herbs, and together along with my favorite local goat feta, some eggs from the hens and some corn meal you have the makings of some lovely summer snacking! Honestly this might be the easiest, tastiest and most authentic tasting Thai style yellow curry I have ever had let alone made! This perfectly punchy sauce was made in a wide mouth mason jar with my handy immersion blender using only a few simple ingredients. 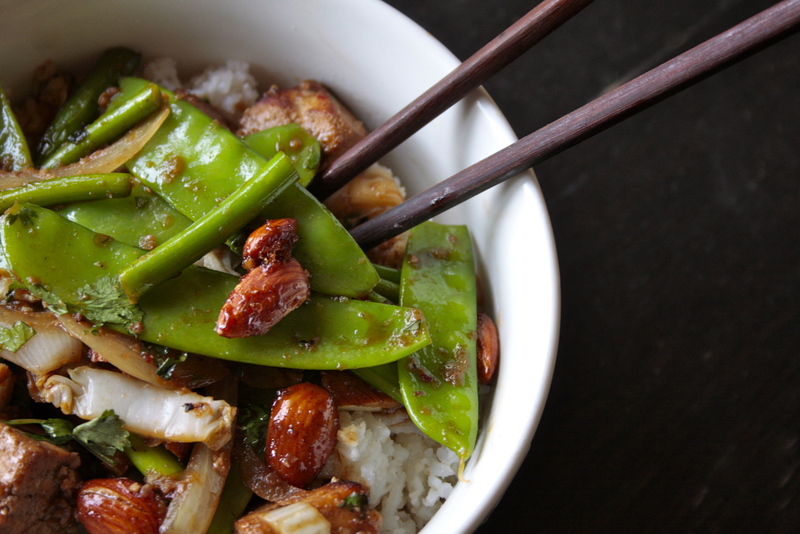 The veg can be what ever you have on hand and of course you could add meat or fish or tofu, served over steamed rice you’ll think you were on a beach in Thailand… trust me this is ridiculously good! Yet another day in paradise spent slaving over a hot stove canning! My daughter and I enjoyed a morning making this stunning fragrant rose petal jelly, which was a really similar process to my favorite dandelion jelly. We started last week by picking a few bags full of lovely rose petals from our friends garden (which of course are untreated & un-sprayed, which is ESSENTIAL when making any food or medicine with flowers or wild-crafted herbs). From there I sorted 8 cups of the prettiest pinkest fullest petals which I set in a glass bowl along with 9 cups of warm water, left to sit in the fridge for 3 days to simply and passively saturate their lovely flavors into the rose water. Nothing screams English garden to me as much as green peas and strawberries! And they both are flushing in my yard right now. 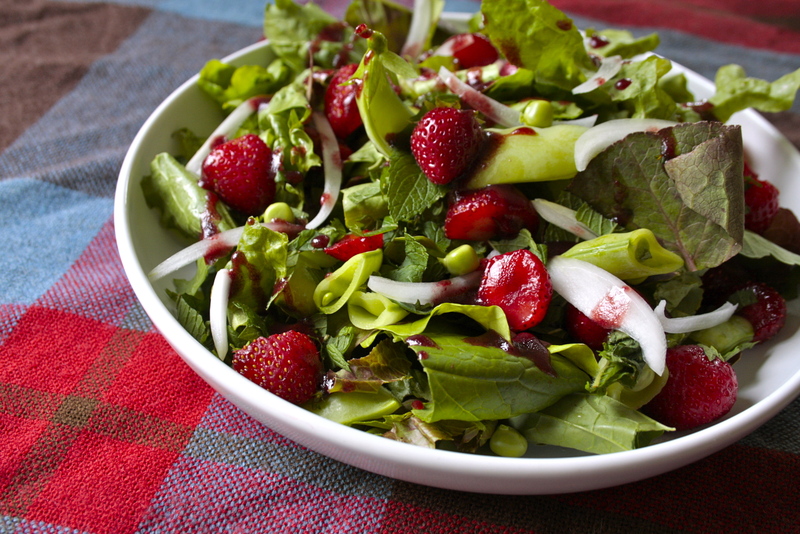 This bright and sweet salad is entirely from a mid day wonder around the yard (with the exception of a small walla walla onion), the dressing is made with that yummy saskatoon syrup I made last week, blended into a zippy balsamic vinegarette. My dear friend turned 50 this weekend, and I had to make a show stopping cake to help her celebrate in style. 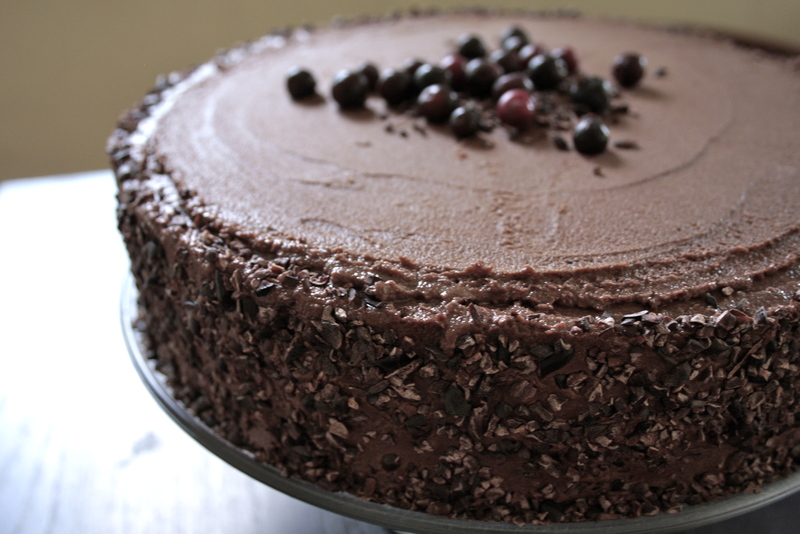 I decided on making that lovely chocolate quinoa cake I made a couple weeks back, and to go all out I made two batches of cake and opted for a coconut milk chocolate mousse center finished with a stellar Saskatoon berry syrup. 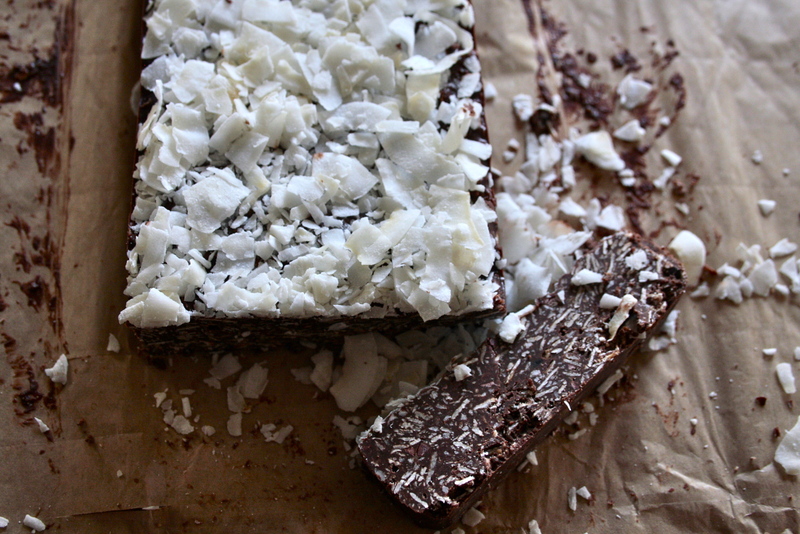 Then the whole cake got a coconut oil butter cream chocolate frosting and a final raw cacao nib crumble edge. 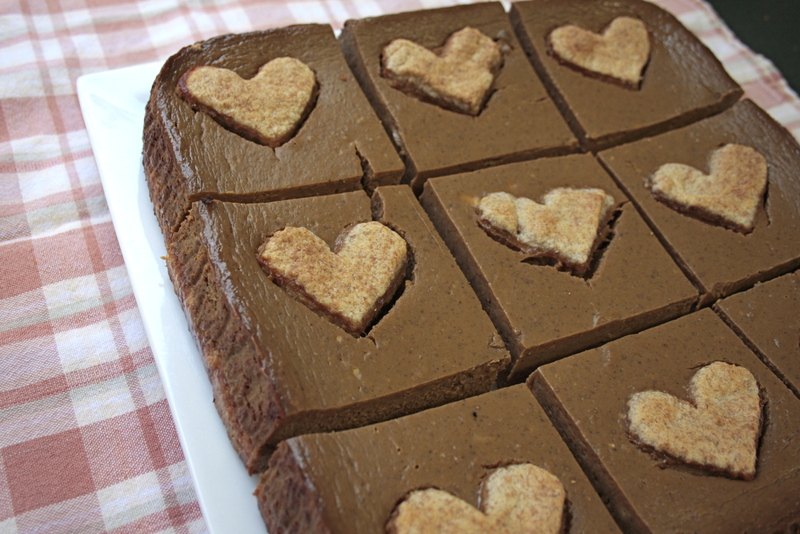 The whole cake was gluten free and flour free, and parts of it are vegan, other parts are powered with super foods… And although it is deeply indulgent, on the whole I would say it’s a pretty healthy option as far as chocolate cakes go. My vegan friends, this is a divine sauce straight up I promise you will love this creamy “cheesey” goodness. I opted to celebrate our favorite lactose intolerant intern being away for dinner and added a good amount of sharp cheddar and some smoked bacon to this dish to throw it over the top. But totally unnecessary unless you are living in forced cheese lock down, and need to break out once in a while. This sauce would be a great vegan fondue substitute, and would certainly make killer mac and cheese. Inspiration for dinner tonight came from PPK’s chipotle Brussels sprouts. 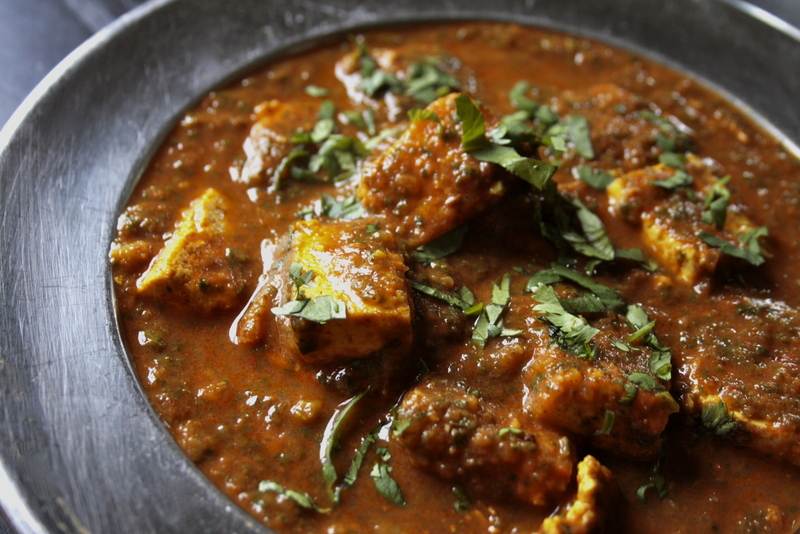 Soaking and pureeing cashews are the secret behind this rich sauce. A trick I have never tried before and am so happy to have in my kitchen tool box now. 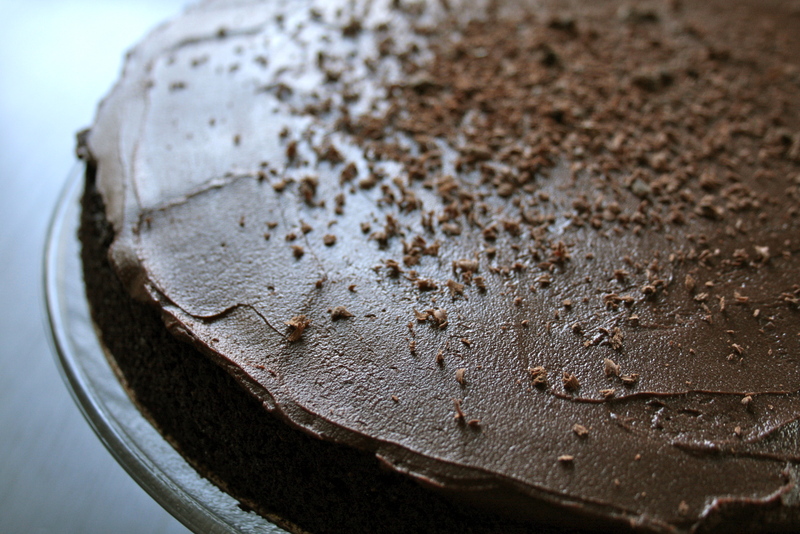 Wheat free, flour free, gluten free, dairy free cake that is divine and deeply chocolatey, it must be too good to be true, right? WRONG, and the kicker is I finally cracked the perfect vegan frosting dilemma! So my intolerant friends, rejoice you can have your cake and eat it too! I have been carrying this magazine page in my cookbook for about 3 years, and never had the time or energy to make this quinoa chocolate cake made with whole grain cooked quinoa not quinoa flour… well finally the day arrived and I just so happened to have need of 1 delicious chocolate birthday cake and as it happened I had on hand about 2 cups of left over un-seasoned cooked quinoa… PERFECT. 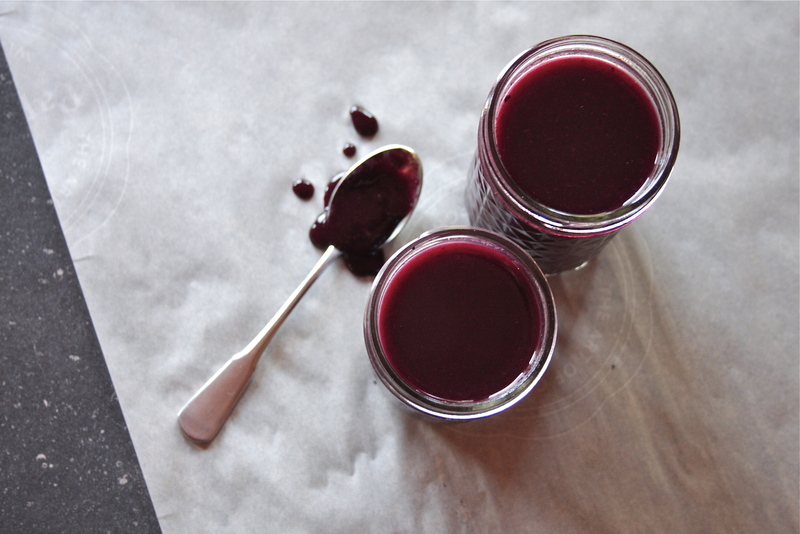 I spent most of the afternoon in the kitchen yesterday running 3 batches of wild herbal jelly. Mint, Dandelion, and Spruce Tip. 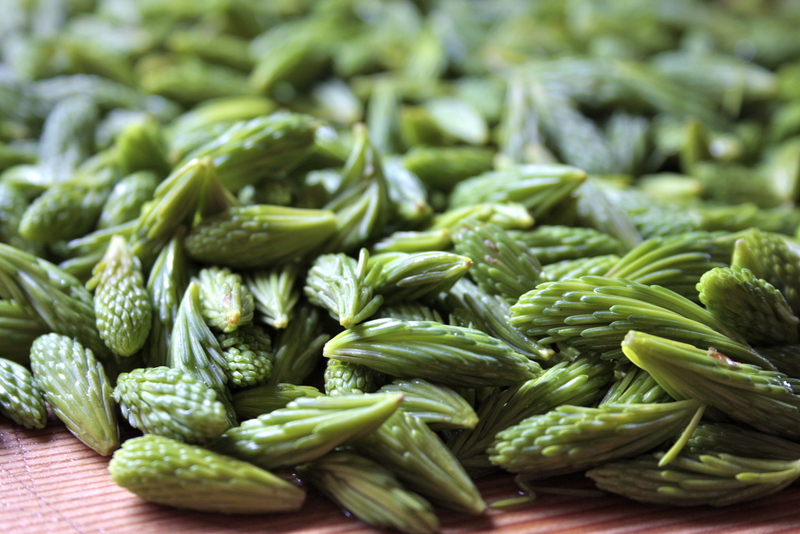 What excited me the most was processing some freshly collected spruce tips into jelly. 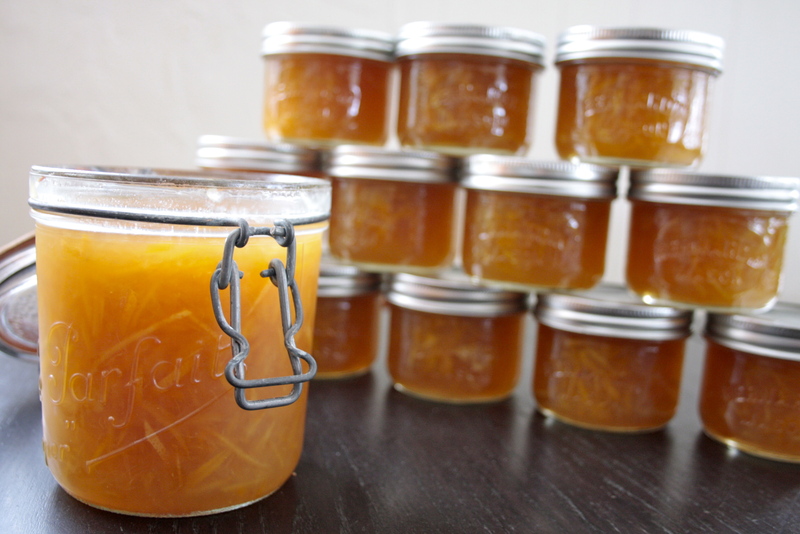 A few weeks back I was sharing some of my dandelion jelly with our friends and they spoke of a traditional dutch jelly made with spruce tips, which had me intrigued. 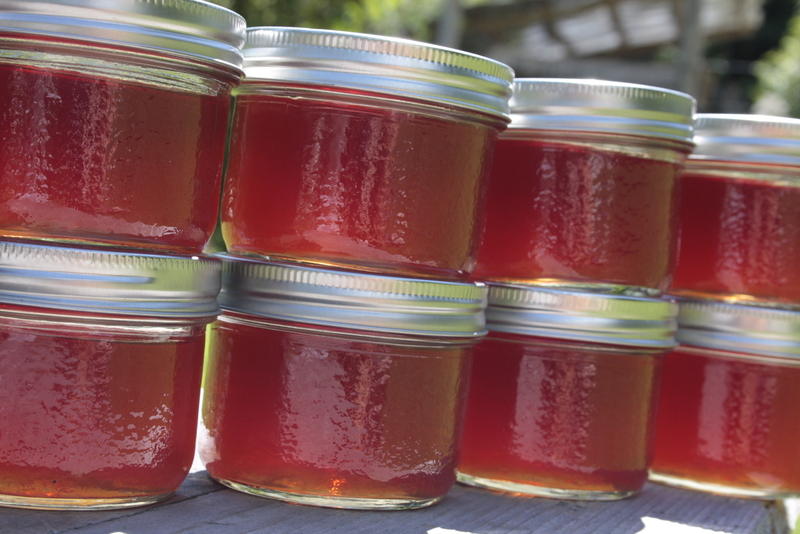 Then a few days ago our local master herbalist was teaching some medicine making techniques and she too mentioned spruce tip jelly, luckily my wild-crafting partner in crime here at the homestead was setting off to Alberta on a harvesting adventure and she keenly returned home with a batch of fresh tender spruce tips ready for canning. Yeah. So the plan was to thaw out the dandelion juice I made a few weeks back and put off canning because the weather turned grey and cloudy, make a fresh batch of spruce tip jelly, and finally give some mint jelly a go… I love mint jelly on roast lamb or beef, and I thought a mint jelly would be a nice starting point for some mint sauce. I opted however to make mojito jelly by adding some fresh lime juice to the batch, the next roast beast dinner might call for some rum!